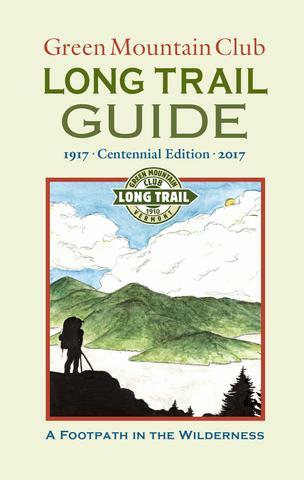 Long Trail Guide, by Green Mountain Club. 28th Edition, 2017. The Centennial Edition of a Vermont classic features revised descriptions and color topographic maps (100-foot contours) and elevation profiles for the 12 sections of the 265-mile Long Trail, plus side trails and the Vermont portion of the Appalachian Trail. Includes all trails to the five Vermont 4000-foot peaks. Vintage photos from the LT are sprinkled through the guide. Handy pocket size. 288 pp, 4 1/8” x 6 3/8”.